Come and compete for prizes and the chance to move forward in UBC’s competition. Or come cheer on your friends. 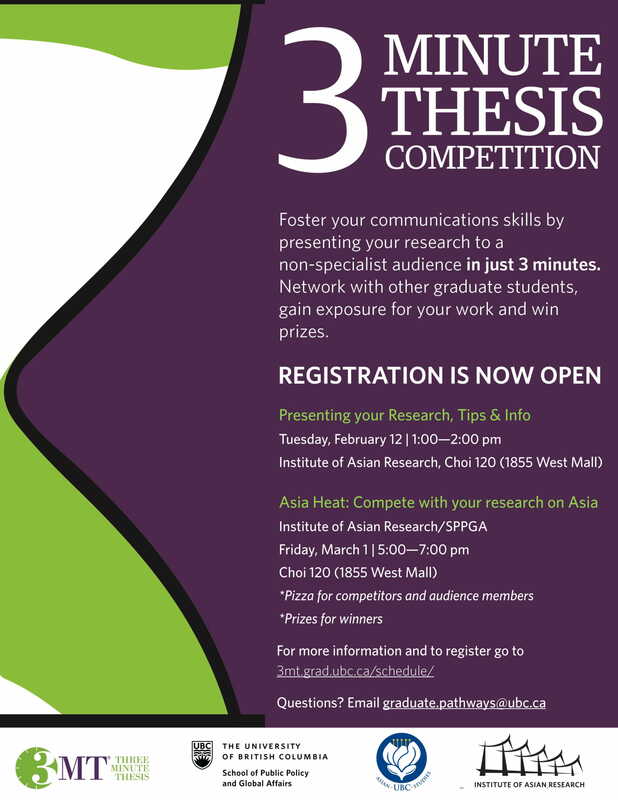 For Ph.D. and MA students who work on Asia in any field/discipline/Faculty. Pizza will be provided for all!